Hi, I love your hair and the fact that it’s very similar to my hair texture. I’ve been trying to nail down a hair routine, but it’s just so overwhelming viewing all the natural hair blogs and tubes. I have a few questions for you and hopefully you can help! How often do you trim your ends? How often do you blow dry your hair? What do you think is the best practice in growing out the ultimate hair length? I have read several blogs and everyone has various opinions. I’m curious as to what your thoughts are? I answered the question as best and briefly as I could (if you know me, that’s not too briefly;). But, it got me to thinking about my current regimen and I how I got here. You see, what I do now, I wasn’t doing a year ago. And what I was doing six months ago, I’m not doing now. Well, not exactly. I think the same would probably be said by almost everyone with hair regimens. The thing is, just like we (hopefully) grow and evolve through life experiences, trial and error, successes and mistakes, so too does a hair regimen. Not to be too grandiose, but neither maturity nor a hair regimen happen overnight. As many of you already know, I’ve been natural for 11 years, but only discovered CurlyNikki and this online natural hair community a little over a year and a half ago. Prior to April 2010, I probably co-washed weekly, used a No Poo when I felt like my hair needed more cleansing, detangled in the shower with lots of conditioner and a wide-toothed comb, tried to deep condition once a month and styled in WnGs with a mix of gel and a moisturizer. I also got a professional trim twice a year, usually on straightened hair. And that was my regimen (though I didn’t think of it as one at the time!). And, my hair did fine. It was healthy and grew long. But, I got bored, had layers that I didn’t like and went through a bad break up (y’all know how we do). So, after reaching BSL (or maybe even a little longer), I chopped my hair to ear length … straight. Then, I started all over again. Sep. 2008: About a year after the short cut. By February 2010, my hair was back to the length it was prior to the cut. But, I was bored again and annoyed by an ongoing problem. Mushroom/mullet hair. My nape hair is the straightest on my head and my crown is the curliest … and never the twain shall meet. A Ouidad cut in the past had worked to address this, but it also removed the volume that I love and resulted in a shorter layer underneath my longest length. I was also experiencing significant breakage at my crown, specifically down my center part. 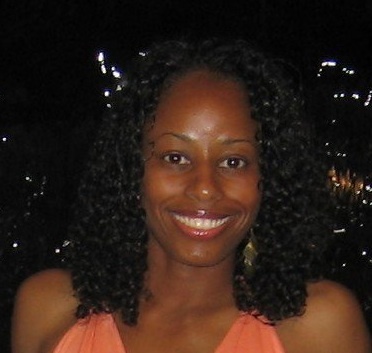 It was at this time that I discovered CurlyNikki and I began to learn more about my own hair. A new regimen began to evolve. First, I learned about protein sensitivity that can cause brittle and dry hair. I had suspected that the breakage I’d experienced was due to a new gel I was using for my WnGs (going outside with wet hair in the middle of Winter probably didn’t help either). I even told a friend who complimented my hair when I used this gel, “It looks good, but it doesn’t feel good.” So, I stopped using it, but not after the damage was done. Well, sure enough, the gel had protein in it! I had finally diagnosed the root cause of my hair’s reaction to certain products, so that I could avoid the issue in the future. Next, after about two months of reading just about everything on CurlyNikki and Mehandi.com about henna, I purchased my first “stash” of Jamila henna. After my second application, I tried my first TnC with ho-hum results. A week or so after my third henna, I tried an ACV rinse to restore bounce. It worked, but my hair felt overly dry, so I discontinued that. Next, I tracked down a local Indian grocer (wooh hooh!) and purchased some amla to add to my henna treatments in order to preserve/restore my loosening curl. I eliminated the amla a couple of months later after experiencing a constantly itching scalp and excessive shedding. Sometime in the midst of all of this, I tried shea butter, then virgin coconut oil and by July 2010, discovered my Holy Grail, Jamaican black castor oil (JBCO) for sealing. In October, I tried the Kimmaytube leave-in recipe for the first time and decided that was a keeper. In November, I discovered that the coconut oil that I didn’t like for sealing, was great when added to my DCs and as a pre-poo! Vatika oil turned out to be a cheaper and even better alternative. In January, I started doing roots only applications of henna and added black tea rinses to my regimen to combat excessive shedding. In February, after not noticing any appreciable reduction in my hair fall and reading an article on CurlyNikki that indicated too much caffeine could cause the reverse effect, I discontinued the rinses. Since then, I’ve become a regular protective styler, finger detangle exclusively, modified my Kimmaytube leave-in as too much oil weighs down my fine hair, added Biotin to my supplements, then MSM, and discovered zizyphus (an ayuverdic herb) as an alternative to amla for rejuvenating curl. I could go on, but I suspect that you are all sensing a pattern here and want me to get to the point;). The point is, a regimen isn’t built overnight. It isn’t built in a day or a week or even a month. It is a living thing and requires experimentation and observation. I don’t believe that there is a “one size fits all” regimen. Each one must be customized for you, your lifestyle, your hair and your goals. And, even those things can change for an individual, so there isn’t even a “one size fits all” for each person! We have to be prepared to adapt as life happens. However, there are five steps that I think that one should take in order to build a regimen that works for you. Assess the current state of your hair. Is it excessively dry or well-moisturized? Smooth or frizz prone? Shiny or dull? Are your strands strong or breaking? Riddled with single strand knots or splits? Is your hair difficult to detangle or relatively easy? Evaluate every aspect of your hair that you can. Identify and document your current regimen. What are you doing and using now? How are the techniques and products impacting the state of your hair? How do they make your hair feel and look? Do you see any commonalities (i.e. ingredients) in the products or techniques that work and don’t? If you do, this will help to inform your future handling practices and product choices as you’ll know which techniques/ingredients to seek out and which to avoid. If you don’t, try searching for reviews on products that do and don’t work for you to see if others have similar results. Someone else may have done the job of diagnosing the holy grail and/or “offending” ingredient(s) for you! Introduce new techniques and/or products no more than one or two at a time so that you can determine what specifically is working and what is not. If you try to revamp your entire routine in one shot, you’ll never know if it was that oil, pre-pooing or those additional deep conditioning sessions that gave you those wonderful or horrible results! Listen to your scalp and hair! Now that you are introducing these new products and techniques, pay attention to how your hair responds to them. Never give more credence to the rave reviews of others than to your own hair. If something isn’t working for you, stop using/doing it! You may want to give products and techniques a couple of tries and use them in different ways in order to fully assess the results prior to discarding them entirely. However, that being said, if all of your hair starts falling out or your scalp catches on fire, it’s safe to say that those products don’t get a second chance ;). Adapt your regimen, as needed, to suit the current needs of your hair and lifestyle. Deep conditioning: Though this has become a controversial topic, I think that everyone should try deep conditioning to determine if it is of benefit to their hair. How often is up to the individual. Sleep with a satin bonnet/scarf and/or on a satin/silk pillowcase. So that’s that. Until it’s not ;). I’ve achieved my longest hair in the last few months and have perfected my TnC. But, I’m sure that within the week, I’ll learn about some new science or old product or clever technique that will alter my current regimen in some way despite its success. And, I’m fine with that. Because, a regimen, like Rome, isn’t built in a day. How did you build your regimen? Has it evolved over time? How and why? Girl, your wash and go in the pic with the peach top looks faaaaabulous!!! Always loved that pic. Thanks guys. Rece, I’m pretty sure I used the Ouidad Climate Control for this WnG. If not, then I definitely used the La Bella Lots of Curls. This was shortly after a Ouidad cut and I used their technique of applying product to hair in small sections, raking it through several times, holding the ends on the last pass through, shaking and then releasing. Might work for you and I’m sure there is a YouTube video out there on the technique. Thanks Arti! I probably used Infusium 23 as a leave-in. I usually mix my gels about an equal amount of Carol’s Daughter Healthy Hair Butter. Can’t remember if I did that here, but most likely, I did. That is good advise that I am doing my best to take…I have been transitioning for just a year and struggle with the two textures, products and styling. I don’t like what I see and have been comtemplating the creamy crack (relaxer)again. I literally pray for guidance when it comes to my hair and finding out what is going to be the best, work the best and definitely look the best. Hey Heather don’t give up!! You are going through the hardest time right now transitioning. It can be very difficult to do a long term transition with the two textures. I would suggest going to Curly Nikki and any other sites you can along with youtube and look up the information on transitioning. I think once you get through to your all natural hair you’ll be very happy you held out. Very well put! I started similar to you. I was already natural but was wearing wigs and weave for 2 yrs. My hair was very dry and breathless. I decided at the end of 2010, I would wear my own hair for 365 days. Like you, I got on the web and its been on and poppin every since!! Thanks ladies!! It took me a while to compose my thoughts and write it, so I’m happy if it is helpful or, at the very least, entertaining:)! Heather, patience is key. It’s not going to happen overnight and you’ll probably find out what DOESN’T work for you sooner than what does. You really have to take it one day at a time and try not to get discouraged. It WILL get better. Also, what you see is probably far worse than everyone else. We are often our harshest critic. If you have the length, when all else fails, bun it! Or, take a break with braids (but remember they have to be properly cared for as well and carefully removed to prevent damage from detangling). Good luck and I hope you are finding the site helpful!! Thank you so much for putting it all together…I can really relate, because it seems as if my hair care routine has changed every month. The more growth I have the more I have to switch around how I care for my hair. Change is good though. You’re so right! Building a working regime takes a while, months or years, but once the keystones are identified it becomes easier to tweak it. Question for you: How often do you Henna and after how many applications did you notice your curls loosening? I have only done it once 8 weeks ago and want to do it again now. Just curious. Thanks! Thank you Jackie! And yes, I think once you identify the things that must be in your regimen, you can change, add and/or remove other things, including product choices, and assess their results pretty readily. It’s just getting to your own set of core regimen steps first that can be the most difficult part! As to henna, it was probably 3 or 4 times when the loosening started being very apparent. It doesn’t happen to everyone …. seems to be those with fine strands and S-curl type curls most impacted (which is me). Not sure if you want curl loosening or not, so if you don’t and you have fine/S-curl strands, keep an eye on it. I do roots only now to prevent loosening to the extent that I had last year. 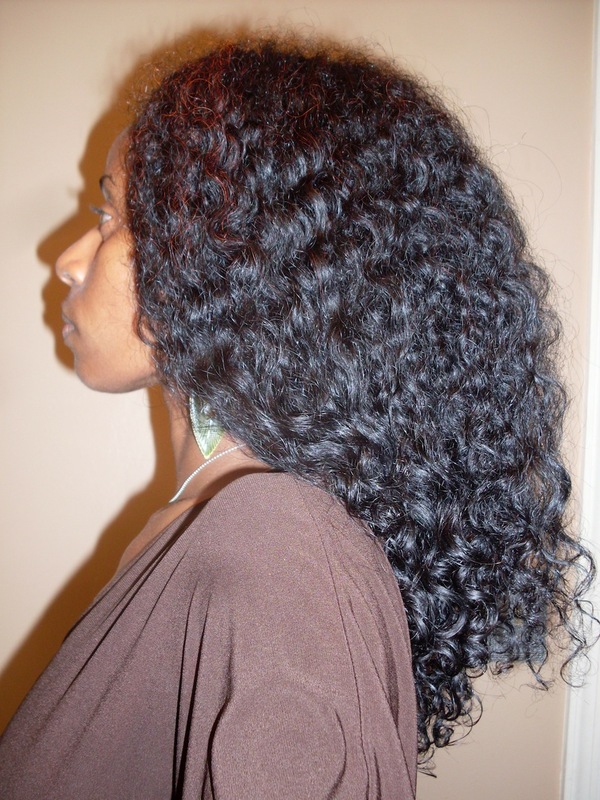 If you are seeking curl loosening but have thick strands and/or a spring coil type, you may not get that type of result. It always seems to work that way, doesn’t it?!?! Hi AlluringBeauty! I’m so sorry for the delay in responding to this! Sometimes, I lose track of the comments because I tend to read them via e-mail when I don’t have access to respond on the blog! Thank you so much for the compliment!! Sounds like you figured out what works for your hair and how to tweak it as/when your hair needs something different! If you’ve been reading the site recently, you know that I’ve realized that I do need protein! Just now, I know how and when to use it!! This online natural hair community is an amazing and wonderful place!! 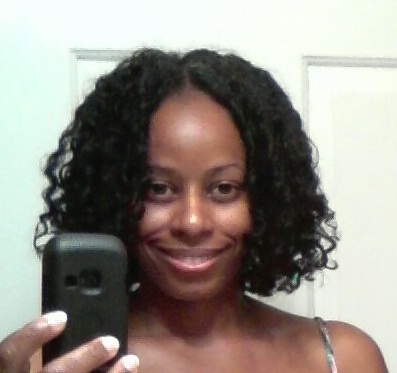 This is a great site and id love to email u a pic of my hair for any.tips or critiquing. Hi Ann Marie! Thank you so much. You can send them to hairscapades (at) gmail (dot) com. Just tell me a little about your hair, what your challenges are and what you are trying to accomplish. I’ll try to help if I can:). Thanks again! Great! I am trying to start my own regimen. Summertime is always my natural time. I’m definitely going to try Vatika and JBCO. I am currently using a line from Design Essentials, which works and smells great. I usually apply gray rods overnight to my hair after a wash, but I’m not getting my curls to hold for more than a few hours after I take the rods out in the morning. It’s frustrating, but hopefully I will find the right technique soon. And your hair looks awesome!